How can zoos justify their ongoing existence in this modern age, when information and images of any species under the sun is just a click of the mouse away? Certainly this is a question that even I still ask myself occasionally, two years away from my 30 year anniversary as a veterinarian and conservation scientist within the Zoological Society of London’s academic faculty, the Institute of Zoology. Working for a research institution linked to one of the world’s most famous zoos means we’re able to see first-hand the impact zoos have on conservation, with global research projects benefitting from the input and support from zoos. Do all zoos deserve to keep operating? Certainly standards of animal welfare, enrichment and conservation work in the zoos of many developed countries have come on leaps and bounds in recent decades, but there are still sadly zoos in some parts of the world where radical improvements in animal welfare and management are required. All zoos should not be tarred with the one brush, however. Let’s also consider the many positive impacts that well-managed, scientific zoos can have. For example, there are few more effective ways to demonstrate the amazing diversity of life on Earth to those who don’t have the privilege of seeing the huge range of wild animals in their natural habitats around the world. Enabling visitors to see animals up close has a lasting effect on how they view the natural world. The concepts of zoos as ‘arks’ can be overblown at times but, speaking as someone with a background in wildlife veterinary science, I can personally vouch for how important insights gained in zoos can be for the conservation of wildlife in the field, both in terms of understanding animal behaviour and for exploring best-practice in managing threatened species in their natural habitats. The project I was involved in to save vultures from extinction in Asia was just one field conservation project that very clearly benefited from insights gained in zoos – the design and management of breeding centres was informed by the zoological world, and knowledge gained from investigating and treating disease in zoo animals proved invaluable in the wild. Other examples include the ongoing battle against the chytrid fungus that’s currently devastating amphibian populations worldwide. 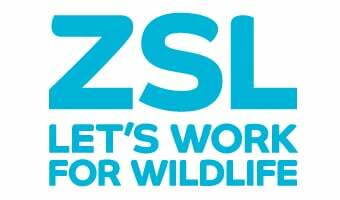 Again, zoos like ZSL and our partners around the world have a definite role to play in terms of maintaining breeding populations in captivity for species facing imminent extinction in the wild and in bringing this important story to the public through our exhibits. Public knowledge and pressure inform human behaviours and government policies which, in turn, impact the conservation of animals in the wild. Modern zoos maintain high animal welfare standards while also running conservation projects in the field. They do, however, need to keep pushing themselves to demonstrate and communicate the impacts their work is having on the ground, including the incorporation of public outreach both locally and at conservation field sites. There is a need for greater collaboration between those at the coal face of zoological science and those managing animal collections, to ensure this connection between zoos, field conservation and public education is as tangible, genuine and widely-understood as possible. But given the dramatic and accelerating collapse in biodiversity currently being witnessed all around the world, the case for responsibly-managed zoos remains strong.